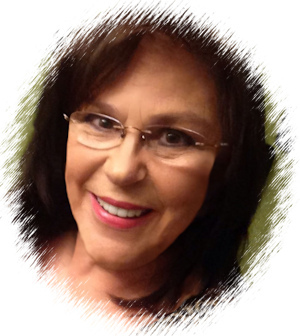 Hi, I’m Debbie Hagan; I am the creator and founder of Dentist the Menace blog and an autodidact . The blog’s primarily focused is informing dental professionals, consumers, lawmakers, investigators, and news media about the vast amount and various types of illegal business practices, waste, fraud and patient abuse taking place in the dental healthcare industry. It is done all with a “bite”; meant to spark debate, awareness and most of all change. My self-designed caricature logo of me is to add a little dose of sugar to help the medicine go down. The goal is simple; inspire, if not demand, change by shining a spot light on the dark side of dental healthcare and those responsible which far too long went unchecked, unchallenged and unreported. In 2007 after my then 4 year old grandson suffered a terrible experience at the office of a pediatric dentist where he was restrained in what was referred to as a “papoose board” and subsequently watching an exposé about children abused much the same way in a Maryland dental clinics I began my blog. First to voice my outrage, then as a place to store information I found while researching this revolting treatment of children. Soon people from across the country began to write in telling me about their horrendous experiences at dental clinics. Some were dentists; others were auxiliary staff all telling how they were pressured to do procedures they felt were abusive and unnecessary in order to meet daily production goals set by “corporate offices” often owned by Private Equity and other investment firms; all managed by non-dentist corporate executives. By far the worse stories were from stunned, grief and guilt filled parents telling of their children’s torture at the hands of dentists and staff. Over and over I heard the same stories: children drenched in sweat and urine, bruising on their faces, necks, arms and legs and their child’s mouths bloody, mangled, and every tooth covered with stainless steel crowns. Their stories were spine chilling. As dental chains like Aspen, Affordable Dentures, Dental One, Heartland, Pacific, and many others began to open across the country, stories poured in from adult patients describing their physical agony in addition to their emotional and financial suffering. These stories needed to be told as well and I had my opinions that needed to be expressed about what was and more importantly what was not being done to stop this illegal activity. I was born and raised in Western Kentucky, where I attended school and some college. I am one of seven siblings. I have 2 children and 6 grandchildren. I enjoy time with my family, travel, genealogy research and helping others.